The Toys and Games market includes all kinds of toys for toddlers and kids like dolls, construction sets, card games and puzzles. The worldwide revenue of US$70.5 billion in 2017 is expected to increase to US$73.6 billion by 2021. The Toys and Games market is the biggest segment of the Hobby Products market and accounts for more than 60% of sales. It contains a wide variety of products intended mainly, but not exclusively, for the entertainment of children. The Toys and Games segment is driven by an increase in online sales, a rise in demand for eco-friendly and high-quality toys, a fierce price competition and rapidly changing consumer preferences. 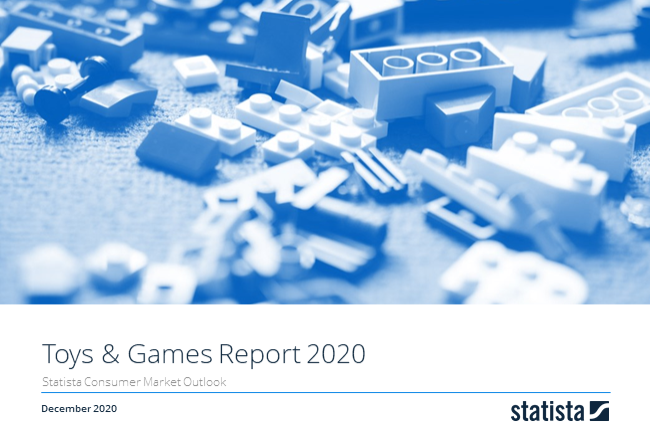 This report from the series of Consumer Market Outlook segment reports gives an overview of the Toys and Games market from an international perspective. You can find further information on the topic on Consumer Market Outlook/Toys and Games.